It's Christmas again! Woohoo! Time to whip up a photo Christmas card that you can send to family and loved ones to let them know that they are remembered. What are photo cards you ask? These are cards that are specially designed with one or two (or more!) photos at the front. Why? Because they're genius really! You get to wish someone a wonderful Christmas, plus you get to send a photo of your family too! Teensy, weensy problem though. Photo cards do not really come cheap and there's a minimum order involved if you purchase them from online stores who will print them for you. What if you only want to send one or two? Wouldn't it be impractical to order 20 just because that's the minimum order when you only want to send one to your parents and no one else? 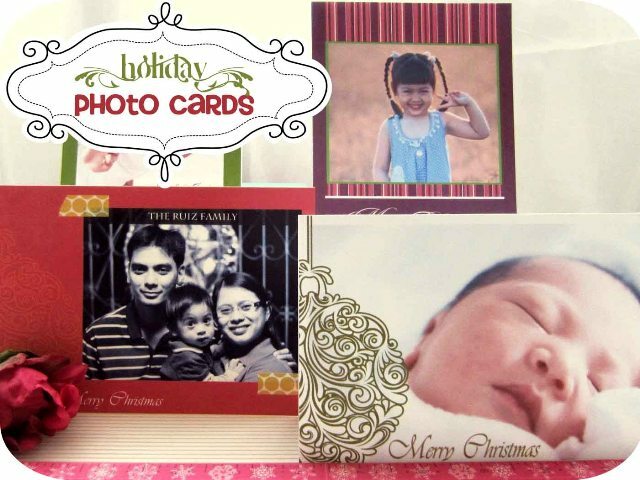 The Solution: Cheap Printable Photo Cards! Well, fear not, friends, we've got the perfect little solution for you - festive and gorgeous photo Christmas cards you can download and print at home for a really affordable price of only $0.99 each! Yep, you read that right. :) Great deal or what? Our photo Christmas cards are available for download as photos (in PNG format). You can add your photo/s through a photo editing software like Photoshop. But if you don't know how to use Photoshop and would really not like to bother learning now, check out our tutorial on how to print and make photo cards using Microsoft Word! Really easy peasy! The tutorial will cover everything from inserting your photos to trimming and scoring your printouts. To ensure that you'll get the perfect look for your card, you can either pick your photo/s first and then choose the card that would go best with them OR, if you're up for a little more creativity, pick whatever card you want and take new photos just for your card! That should be fun! :) You can have your kids make faces or wear colors that would go well with the card! Printable cards do not have to remain as is after you print them. Meaning, you can still go the extra mile and add a few more embellishments if you want. Add buttons or glitter or ribbons or brads! Anything goes really! Ready? Let's start shopping for photo Christmas cards!